So you've committed to the idea of correcting or enhancing your smile. You've had enough of fostering imperfect teeth or gums. You're ready to undergo a procedure which will change your life forever. But there's a tiny voice in the back of your head which is worrying away. It's telling you, though the procedure you've chosen sounds like just what you're looking for, that you can never really know for sure the way the outcome will make your teeth look. This will be a big change, altering your appearance significantly. How can you be sure beyond a doubt, though the procedure will certainly be beneficial medically, that the aesthetic difference will be a positive one? We understand these fears and concerns completely, and we believe that you certainly deserve to know how a procedure will impact your appearance. That's where digital imaging comes in. Utilizing digital imaging we can give you a very accurate estimation of what you'll look like once your procedure is complete. 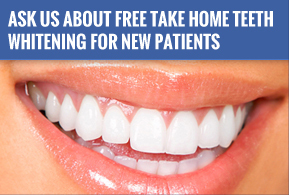 We'll begin the process by giving you a thorough oral examination. This will be followed by a discussion of your goals as well as areas of concern the dentist has observed. Using this information, we'll craft your treatment plan. Once you say that you might want to undergo a certain procedure, we'll take a series of digital photos of your smile. Then, using our digital imaging software, we'll be able to manipulate those photos to show you very realistic representations of the ways that various procedures will change your smile and alter your overall facial appearance. We'll even let you take a photo of your new face home. There's absolutely nothing wrong with wanting to be more informed about a procedure you're considering undergoing. In fact, we encourage all of our patients to do likewise. Using our digital imaging software, we can offer you a remarkably precise glimpse of your future appearance before you commit to any appearance-altering procedure.